The 19-year old Boston, Massachusetts native has been nothing short of consistent over the last six races, but it didn’t come without some obstacles to get him where he is now. In May, the team Kaz Grala was driving for, JGL Racing, shut down operations for the No. 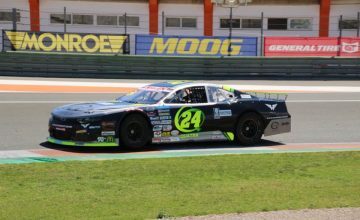 24 due to lack of sponsorship. The devastating news left Grala without a ride in the NASCAR Xfinity Series. Three days later it was announced that Grala would join Fury Race Cars starting at Charlotte Motor Speedway where he would get behind the wheel of the No. 61 Ford Mustang. A team founded in 2016 by Grala’s father Darius Grala, Tony Eury Jr. and Jeff Flutz, the team built race cars for NASCAR, the ARCA Racing Series, CARS Tours, Pro All-Star Series, and other late model series before joining the Xfinity Series. Over the last six races, Grala has only finished outside the Top-16 once. He finished 40th last weekend at Chicagoland Speedway due to an electrical issue after just one lap. With that disappointing finish behind them the team and Grala turned their focus to The Coca Cola Firecracker 250 taking place Friday evening at Daytona International Speedway. Grala is on a week to week basis with the team when it comes to racing each event on the NXS schedule. Why? Well, it all comes down to sponsorship. Sponsorship came through for Friday evenings race at Daytona. Kiklos Greek Virgin Olive Oil and Marlow’s Tavern would both be on board the No. 61 Ford again. Previously, Marlow’s Tavern sponsored Grala at Atlanta Motor Speedway back in February. 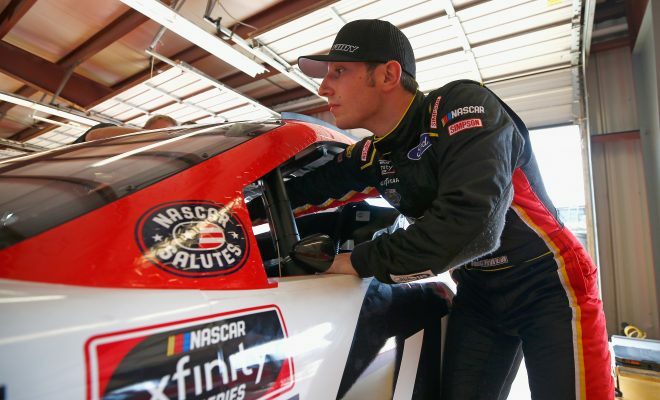 Kiklos has been a sponsor who has stuck behind Grala on many occasions, including when he was racing in the K&N Pro Series East and NASCAR Camping World Truck Series. Grala started Friday evenings event in the 38th position (by owners points) due to NXS qualifying being rained out. The young driver quickly drove his Ford from 38th to 13th in stage 1 and would end stage 2 in the 17th position. At the end of stage 2, Grala’s biggest issue to his team was that the car was tight in the center and exit. During their next pit stop the team opted for 4 tires, fuel and both wedge and track bar adjustments. Grala would have to pit late in the race due to a tire down, but he was ultimately able to avoid a multi-car crash at the end and stay on the lead lap. Grala went on to finish the race in the fifth position (a team best for Fury Race Cars) for his second top-5 finish at Daytona in Xfinity Series competition. He finished fourth in the season opener in February. Grala also has a win at DIS in the NASCAR Camping World Truck Series NextEra Energy Resources 250 that took place in February of 2017. Grala had Kiklos on board as a sponsor for that race as well. He tweeted about his success at Daytona after Friday’s race. Also, @Justin_Haley_ is my hero. The biggest thing some may not realize is that Grala and his Fury Race Cars team took a 10-year old former Evernham/Stewart-Hass Racing show car to a fifth-place finish at the world center of racing, Daytona International Speedway. Let that sink in for a minute…a show car. The sky is the limit for this guy and he could be a serious NXS Championship contender if he and his team can continue to bring in sponsorship for the No. 61. After 16 starts, Grala currently sits 14th in the NXS points standings and has 2 top-5’s, and 4 top-10 finishes on the season. 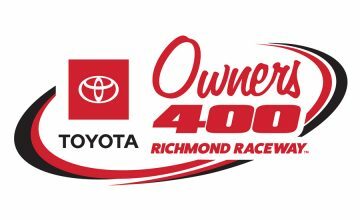 Up next the NXS is headed to Kentucky Speedway for the Alsco 300 next Friday. Grala only has one previous start at the 1.5-mile track which came last July in the NCWTS when he was driving the No. 33 for GMS Racing. Grala left with a 24th place finish after starting 12th due to an accident.